The Academy Condos in Provo Utah are a popular place to live. 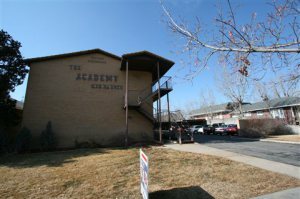 The Academy Condominiums, 639 N University Ave, Provo, UT 84601. The Academy Condos Provo Utah is located in Provo Utah. The Academy Condos were built in 1983 and has 15 units. Most Units have about 1,500 square feet with 2 bedrooms and 2 bathrooms. Each unit has a 1 car carport. The Academy HOA fees change please verify the current HOA fee. The Academy HOA Fee: $150. Please contact the Academy Condos HOA for any updates on thier HOA fees. First of all there are the legal differences. A single family home conveys with all the land around it and gives total control of its (legal) use to its owner. Condos, however, can only be possessed from the outside of the inside walls and anything beyond that is controlled by what is supposedly a democratic rule of all of the owners of the condominium complex. Everything outside is owned in common with the other owners of the building. This means if your window leaks your HOA will replace it. When you move into a condo you don’t just have neighbors. You have co-investors and you have enforced relationships that simply do not exist after the usual home purchase transaction. You all work together to keep the grounds and building looking great. 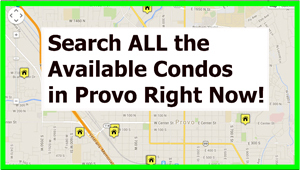 Condos in Provo Utah are a very popular option. A condo is a nice lifestyle choice and a nice fit for Provo. Condos tend to be very popular near BYU. But make sure you understand what you are buying and what you are buying into. Look at the HOA meeting minutes and evaluate if the HOA is financially strong or in trouble. If you buy into a condo that has financial problems you will be one of the owners helping to bail it out.